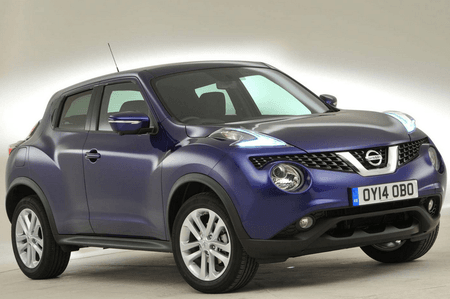 Nissan Juke 1.6  Visia 5dr 2019 Review | What Car? What Car? will save you at least £373, but our approved dealers could save you even more. This basic trim is only available with the asthmatic 1.6-litre petrol or slow 1.5 diesel. It comes with a reasonable amount of kit, including air-con, but doesn’t get a DAB radio, Bluetooth or USB connectivity.